The results of a £1.2 million visitor improvement and conservation project at Framlingham Castle in Suffolk have recently been unveiled. 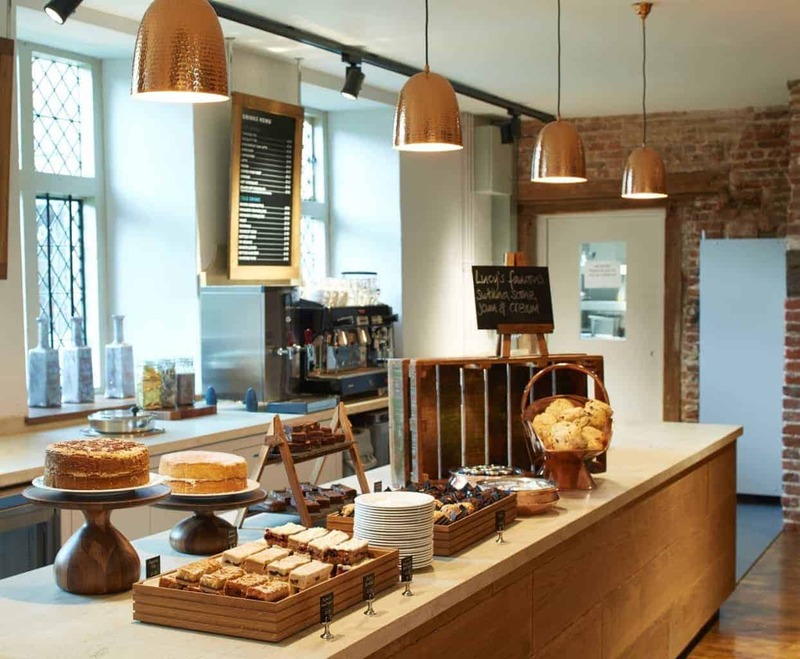 A brand new café and retail space have been added to the Workhouse at Framlingham Castle and an original mezzanine level has been reinstated to house a new exhibition which tells the stories of the historic property and its former residents, including Mary Tudor, who was proclaimed Queen of England at the castle in 1553. One thing regular visitors to the castle will notice is the change of name to the building which houses the new café and exhibition. Previously known as the poorhouse, research has revealed that the Red House of 1664 and the adjacent stone building of 1729 were actually built as workhouses, places where the poorest members of the community carried out useful work in return for financial support, and later accommodation. Institutions like the Framlingham workhouse later gave way to the notoriously harsh workhouses of the Victorian age. 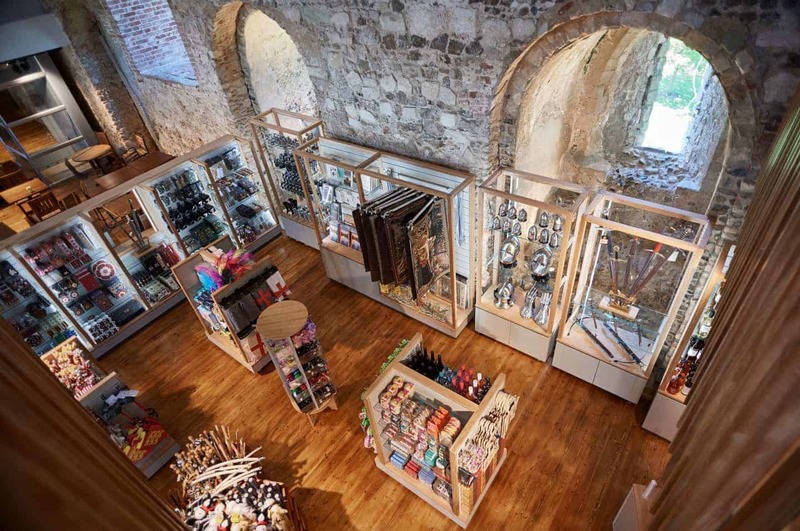 Detailed planning has gone into Framlingham Castle’s new facilities, with many features of the new shop and café designed to reflect the castle and its history. In the shop, one of the retail units has been designed specifically to look like one of the castle’s famous Tudor chimneys. Meanwhile, meals served in the new café include Suffolk Grumbly, a regional dish made with sausage meat and a mustard and cheese sauce and Tarte Owte of Lent, a Tudor meal made with ingredients you’re not allowed to eat during Lent – cheese, cream, and eggs, cooked in a light pastry case. A range of local produce will be also be served, from suppliers including Maynard’s juices, the Marybelle Dairy in Halesworth and St Peter’s Brewery. Up on the newly reinstated mezzanine level, new interpretation helps better tell the stories of the castle and the people who lived there. Highlights include a walk-through of the castle’s varied owners, from the famous Howard family to Mary Tudor. Interactive games are also a key part of the exhibition; visitors can ‘Spin the King’ by challenging the monarch and spinning a wheel to see their fate, try on everything from a Norman helmet to workhouse cap in the Hats Through the Ages dressing up section and have a go at the ‘Who Eats What?’ game – a challenge inspired by the indulgent Duchess Margaret Brotherton – where the aim is to create plates of food and place them next to the class that would have eaten them. Heather Redmond, Area Manager for the East for English Heritage, said: “We’re absolutely delighted to be unveiling the results of our visitor improvement project at Framlingham Castle to our members today. Throughout the winter we’ve worked incredibly hard to make sure we’ve been able to re-open the Workhouse for the summer season including a brand new café – something which we’ve never had before at the castle – and an exciting new exhibition about the castle’s 900 years of fascinating history. “We’re absolutely delighted to be unveiling the results of our visitor improvement project at Framlingham Castle to our members today. Throughout the winter we’ve worked incredibly hard to make sure we’ve been able to re-open the Workhouse for the summer season including a brand new café – something which we’ve never had before at the castle – and an exciting new exhibition about the castle’s 900 years of fascinating history. “We’ve also completed the final stage of a conservation project which has spanned several years. The curtain wall has been carefully conserved for future generations to enjoy, using a mixture of heritage skills such as lime slaking, repointing and stone carving. Following this first phase of the project, English Heritage now plans to fundraise for a second phase which would see a 360˚ wall walk created. Accessibility for disabled visitors and families with buggies would also be improved to the wall walk, with a lift being installed to give them access to a newly built balcony area. 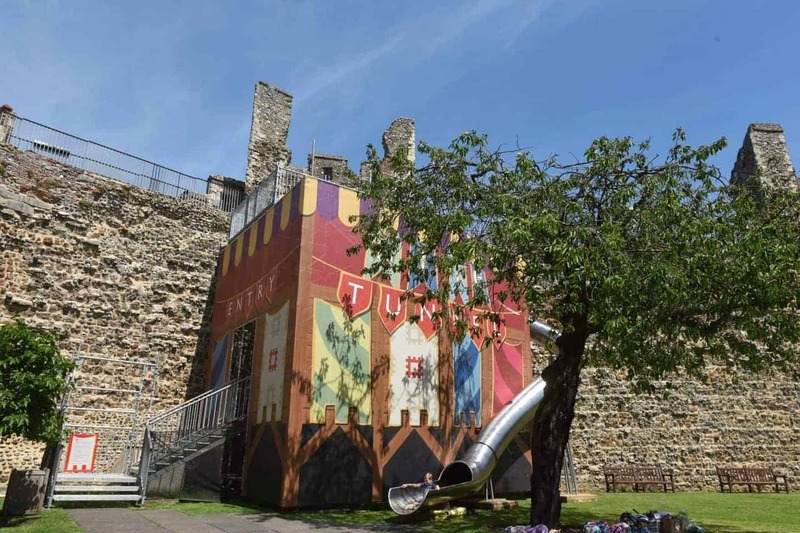 In May English Heritage announced that the temporary Time Tunnel slide which was installed at the castle as part of the project in February will be staying at the site until early October. The Workhouse at Framlingham Castle, which includes the new café, retail space and exhibition, is now open. For more information, visit http://www.english-heritage.org.uk/framlingham-castle.